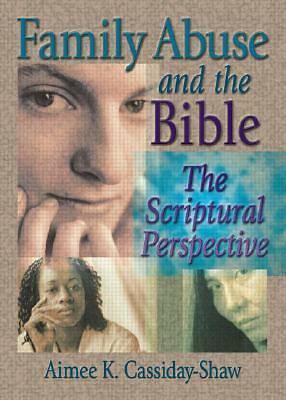 This unique volume reconciles a Biblical interpretation of marriage with the reality of domestic violence. Designed to raise awareness of abuse issues within the born-again community, Family Abuse and the Bible: The Scriptural Perspective works to promote the genuine sanctity of marriage and headship of the husband by examining the ways this God-given position can be subverted by Satan. It combines close Biblical exegesis with psychological insight into the effects of verbal, sexual, physical, and spiritual abuse. Family Abuse and the Bible offers new hope to conservative Christian women in abusive relationships. It demonstrates that abuse is not the will of God and that submission to violence is actually giving in to demonic forces. The tools in this book can ultimately free them from the horror of an abuse they may feel is ordained by God, while leaving them with an intact source of strength in their faith. Secular therapists and counselors will find Family Abuse and the Bible an essential resource that can help them remain sensitive to the needs of abused Christian women. This book explains conservative Christian beliefs about marriage, while providing powerful Biblical justifications that will reach Christian clients when secular ideas fail. This book is an essential tool for pastors, Christian counselors, and family therapists who work with Christian clients and also for husbands and wives who want the Lord's will for their marriage.